Alsico is one of the largest providers of workwear in Europe and our product range is second to none. We stock a comprehensive range of workwear tunics to suit various businesses and industries. 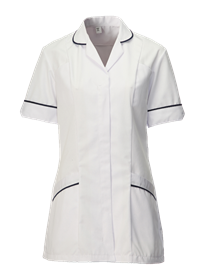 Whether you need nurse tunics for a small private hospital, tunics for a large NHS facility, or tunics suitable for students, care homes, dentists and vets, we have the right products for you. We also sell workwear specifically designed for reception teams and beauty staff. 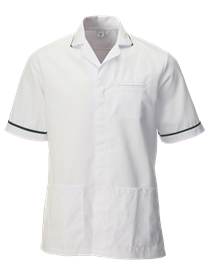 You will find comfortable and hard-wearing nurses tunics in a variety of colours. Most offer a rounded collar and have shaped cuff ends for aesthetic appeal and a comfortable fit. The front fastening is a quick and easy zip which won't catch. There are two handy breast and lower front hip pockets for essential storage and a pen pocket on the front panel of the right hand pocket, ideal for nurses doing the rounds. The tunic is comfortable to wear thanks to the back vents and the action pleats which ensure ease of movement. Each tunic is suitable for industrial washing and is designed for comfort, with rigorous manufacturing standards ensuring that it is also hard-wearing. The shaped fit is flattering and removes any unnecessary fabric, so that nurses, health workers, beauticians and other staff can move around quickly, freely and easily. Our tunics can be customised, with a wide range of colour choices available and the option to have a corporate logo embroidered for brand personalisation. Male tunics are also available in the same high quality polyester and cotton mixes, with a cut that is better suited to male frames. These are, again, designed to be comfortable whilst being close fitting and easy to work in. Why not contact our friendly sales team today to find out more about the range.